Goldman’s first three books, illustrated by award-winning photographer Victor Schrager with gorgeous images of Amy’s homegrown produce, were each awarded an American Horticultural Society Book of the Year award. 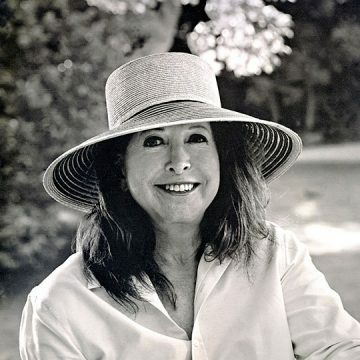 Her first book, Melons for the Passionate Grower, was also nominated for the Garden Writers Association of America 2003 Garden Globe Award of Achievement, a James Beard Foundation Award, various Bookbinders Guild of New York awards for design and production, and the International Association of Culinary Professionals award for Best Design. Her second book, The Compleat Squash, won a bronze award of achievement from the Garden Writers Association of America. The Heirloom Tomato: From Garden to Table received an AHS Book Award in 2009. Heirloom Harvest: Modern Daguerreotypes of Historic Garden Treasures, featuring a personal essay by Goldman, photography byJerry Spagnoli, and an Afterword by M Mark, will be published by Bloomsbury USA October 27, 2015. Heirloom Harvest includes over 175 photographs of fruits, vegetables, nuts, herbs, and berries grown by Goldman on her 200-acre historic Hudson Valley farmstead. Goldman’s writing has appeared in such publications as Martha Stewart Living, the New York Times, Organic Connections, and Organic Gardening. She has been profiled by the New York Times, Washington Post, New York Sun, Organic Style, and Horticulture magazine. In addition, she has appeared on Martha Stewart Living TV and PBS’s The Victory Garden. Goldman served on the Board of Directors of Seed Savers Exchange for more than ten years, half of that time as Board Chair; she now serves as a special advisor to the organization. She is a Vice Chair of the Board of Managers of the New York Botanical Garden. Goldman was elected Chairman of the Board of Directors of the Center for Jewish History in 2014. She serves as a trustee of both the Lillian Goldman Charitable Trust and the Amy P. Goldman Foundation.